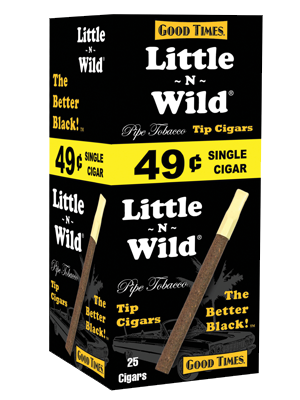 Good Times Little and Wild 25 Count 50/25 (25 Cigars) Pre-Priced $.49 Cents. Compare to Black & Mild, only a smoother and less sweet Cigar. Try it once, you will love the taste and the savings.